Adorable, fluffy, clumsy, playful and affectionate. You bet we’re describing the safari babies of the bush. Recent guest, Kelly, visited during the summer season when nature welcomed the little ones into the world of wildlife. She shares all of the precious moments with us. Warning: Goosebumps, awws and warm, fuzzy feelings ahead! 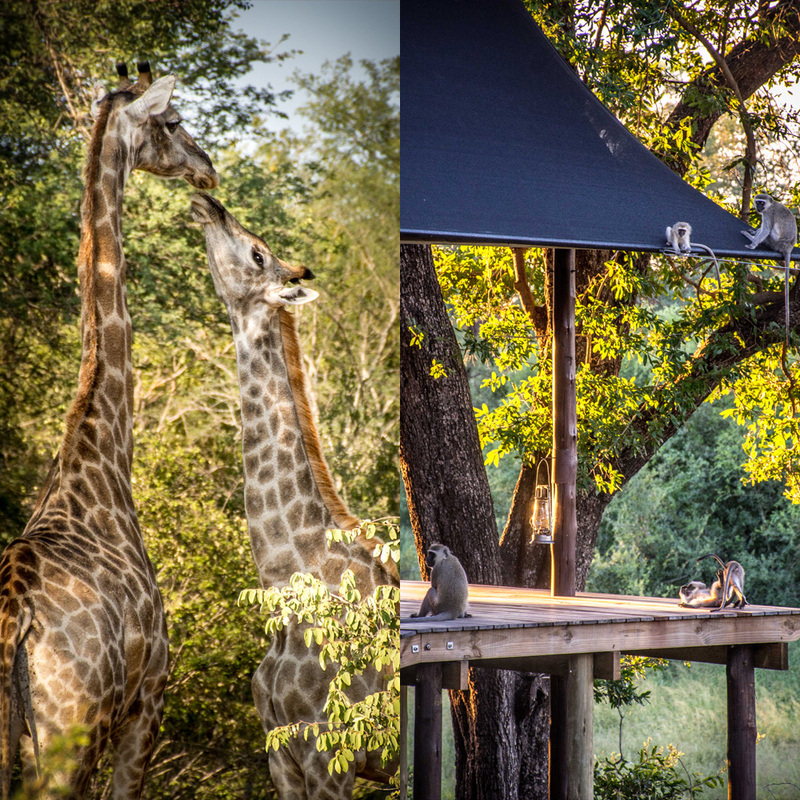 “Garonga and its Makalali bush setting stole my heart during the 3 days we called it home. Our visit was in mid-March, being South Africa’s summertime and because of the good recent rains the wilderness was alive and wearing its green summer leaves in all their glory. It was magnificent to see it so lush, dense and beautiful. The abundance of food and water around made for very happy animals too and because of that we were treated to so many sightings, especially encounters with baby animals too. 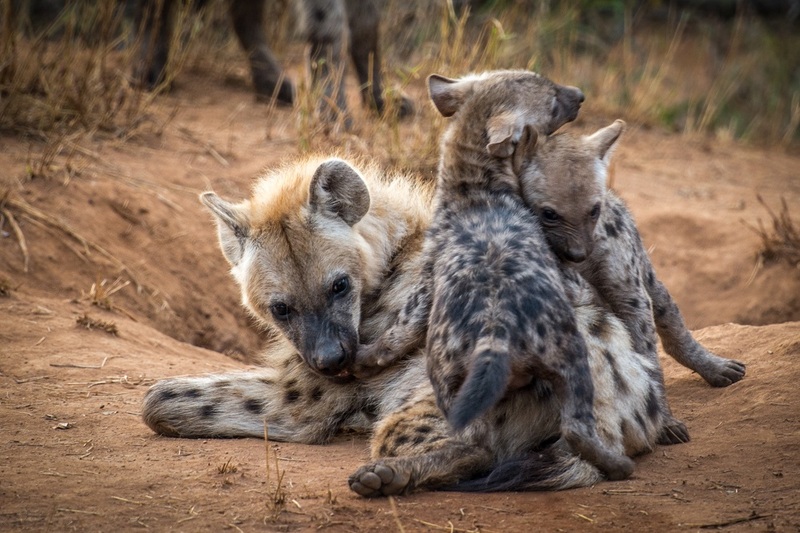 It’s always special to watch the interaction of young wildlife in their family groups and the cute factor was on overload at Garonga during our game drives. We saw baby warthogs following their mom’s raised tail through the grass and toddler monkeys playing in the trees and on the tent decks. The most endearing moment witnessed was of a baby giraffe giving his mom a kiss on the side of the road. 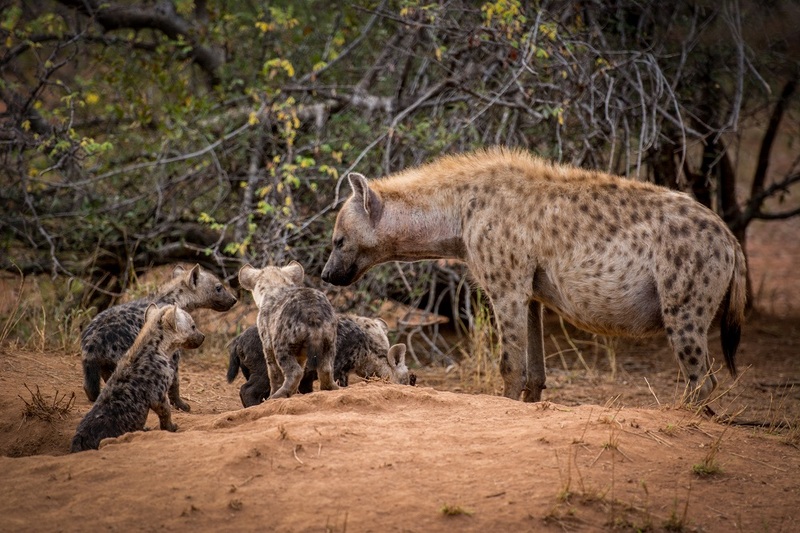 We also can’t forget about the handful of hyena cubs that gave mum a serious run for her money in the hot summer heat. Garonga is certainly wonderful in any season, but it’s hard to beat the cutest season of all – baby season in the bush!